This online auction features signed art, Jewish collectibles, vintage decor, papyrus cases, home decor, Ethan Allen wooden side table, jewelry boxes, watches, costume jewelry, duck collection, Fenton glass, wood carved statues, copper items, brass items, crystalware, china, hutch, linen, purses, suitcases, small appliances, kitchen items, oil on canvas paintings, vacuums and much more! This online auction features a vintage hand carved chest table set, vintage sewing machine, Husqvarna serger, sterling jewelry, vintage brass and leather nautical scopes, tiffany-style swag lamps, Lladro figures, DVDs, collectible eggs, cameras, Sacagawea gold dollar collection, Donner guitar with case, skateboard, Riki trailer truck box and much more! This online auction features a golf cart, mini fridge, wine cooler, sewing machine, yard tools, Kitchenaid mixer, outdoor chairs, pots, recliner, Christmas decor, shop vac, power tools such as a circular saw, table saw, drill, reciprocating saw, hammer drill and more, pet supplies, kitchen items, golf items, chairs, acoustic speakers, furniture, art, 50" tv and much more! This online auction features ART: A Frederick Remington bronze statue "Mountain Man"; Larry Witt muti-wood pot, Scott Shangraw salt cedar burl wood bowl with turquoise inlay; Native American woven baskets; Acoma and Santa Clara pueblo's signed G. Tsethlikai and Darrell Taliman Chino pottery. FURNITURE: Dining table and chairs; Tommy Bahama dresser and more! Cybex 530 T Pro + treadmill and much more! This online auction features VINTAGE: Oak roll top desk. c 1929 Victor radio; radios. JEWELRY: 18 K and sterling rings, necklaces and bracelet; costume. STERLING: Serving pieces. ART: Two Emile Bellet signed and numbered prints with COA's, Gordon Snidow signed and numbered Giclee. COLLECTIBLE: Figurines - Egyptian, Aztec, animal; die cast cars; tin advertising trays; pocket watches parts; Pyrex; coins/silver certificates; ephemera; dolls; sports memorabilia. CHINA: Staffordshire "Liberty Blue" plates; 65 pieces vintage Meito, Japan dishes. MUSICAL INSTRUMENTS: Greg Bennett Samick electric guitar, amps, mixer, speakers. ELECTRONICS: HP Elitebook; Nokia tablets and much more! This online auction features ANTIQUE: FURNITURE - Ice cream parlor table and three chairs, gate leg dining table and four chairs, tool chest used as a coffee table, c1800's European wardrobe and humpback tin and wood trunk, washstand. ANTIQUE CHINA: Blue willow from Japan and England, tea cups. ANTIQUE: Crockery. VINTAGE: FURNITURE - Secretary, bedroom pieces, curio. GLASS/CRYSTAL: Blown, depression, 1954 Heisey crystal. VINTAGE: Buttons from the 20's, 30's and 50's, Junior Classics books, Pyrex, copper., CHINA - 1954 I. China dishes. COLLECTIBLE: Christmas villages - Dickens, Dept. 56, Lemax, Heartland; figurines including Goebel, angels; salt and pepper and much more! The MaxSold auction process was orders of magnitude better than any consignment house we have worked with AND we got 70% of the proceeds. Consignment will only take some of your stuff, then you pay to truck it to their store, then they charge you the credit card fees for each item they sell and finally you get 50% of the money that's left. 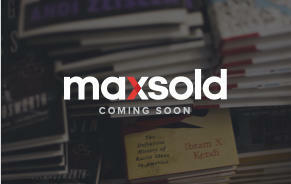 Highly recommend MaxSold! Honest, ethical, easy to work with, prompt payment. 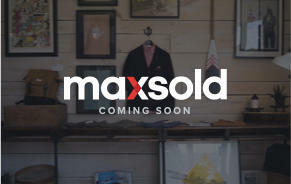 The MaxSold auction process was orders of magnitude better than any consignment house we have worked with AND we got 70% of the proceeds. Consignment will only take some of your stuff, then you pay to truck it to their store, then they charge you the credit card fees for each item they sell and finally you get 50% of the money that's left. 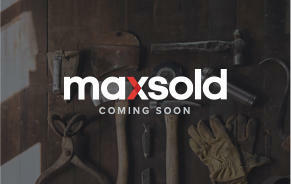 Highly recommend MaxSold! 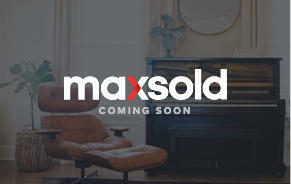 I came across MaxSold when I decided that we want to have an estate sale. 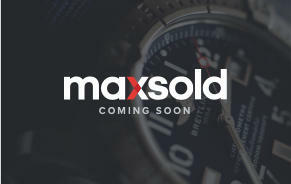 After speaking with several different companies I spoke with MaxSold… seemed incredibly organized, very systematic… nice, not pushy, not aggressive, gave me the information and I liked the process. 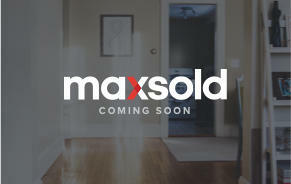 I think the most impressive thing about MaxSold that geared me towards them would be the fact that they were not going to trample 400 people through my home. We’re pretty private people, we’d like to keep it that way, did not want to have a bunch of strangers walking through our home. 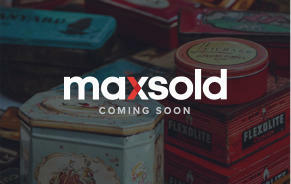 With MaxSold we were able to have them come in with their team, organize, process, do everything online, come back, distribute the goods with very little interruption on our own lives. 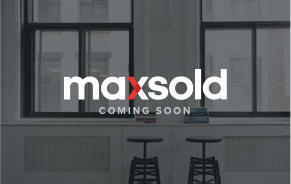 The best thing about MaxSold by far is going to be the ease of which everything was done in. There were no bumps in the road, there were no issues, I had no problems, there were no extra phone calls needed, everything went smoothly, everything went exactly as it should have. It’s been a delightful experience. Honest, ethical, easy to work with, prompt payment! Thanks to everyone on your teams for the help and support with the auction. We are very happy with the results.